“I want to share my private miracle with you. My divorce process was long and drawn-out and from my husband’s point of view, giving me the get was really not on the horizon. On Tuesday night, at 10:30 pm, I realized that my husband was planning to leave the country. I turned to the “Baasher Telchi” organization and Faynie Sukenik made phone calls all night long on my behalf, in an effort to prevent me from becoming an aguna. Suddenly, I received a phone call from Limor Hajaj, an advocate in the southern branch of Yad La’isha: the Monica Dennis Goldberg Legal Aid Center and Hotline. Limor cancelled all her appointments for the next day in order to take care of me, telling me, “Don’t worry! Tomorrow morning we are going to the Ashkelon beit din.” And indeed, her very presence turned my situation around; from being a woman whose husband was on the verge of leaving the country without giving me a get I became a woman who left the courthouse with a get in hand and a huge smile on my face! I do not have the words to thank Yad La’isha for returning to me my freedom and my joy. And to Limor, who knew just what to do so that the dayanim understood that they really couldn’t refuse her motions. Thank you! 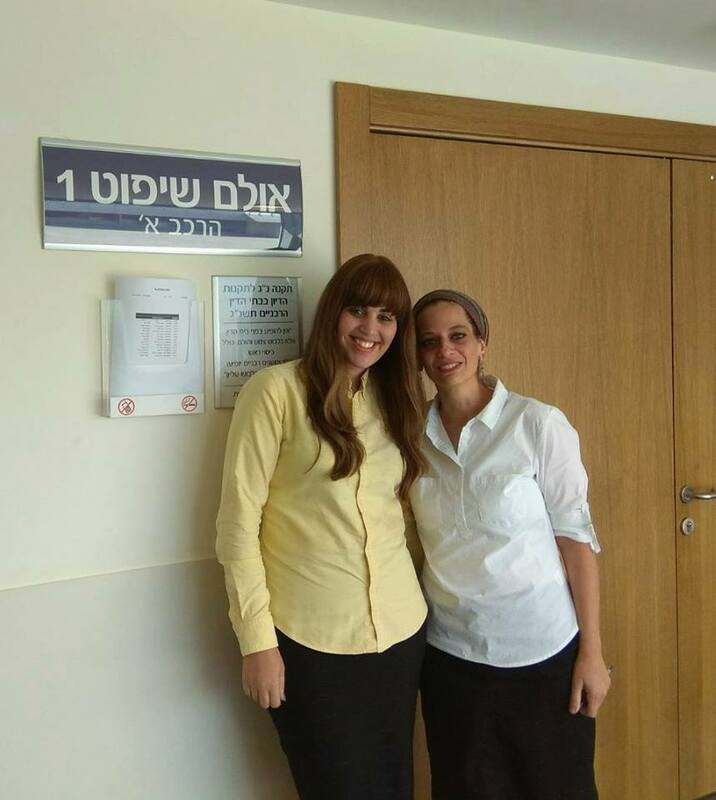 OTS congratulates Raya, who received her get just in time for Rosh Hashana 5778, and commends her rabbinical court advocate, Limor Hajaj (pictured, right), who works untiringly and with tremendous dedication for each client.